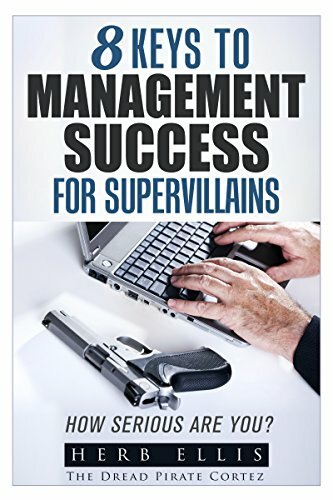 8 Keys to Management Success for Supervillains: How Serious are You? Of all of the best management books, of all of the best success books and best leadership books… 8 Keys simplifies, exemplifies and amplifies the truth… you need to have MORE SUCCESS in order to be viable. Win advancement by OBTAINING THE 8 KEYS success principles and unlock opportunities RIGHT NOW! Benefit from a gallery of supervillains, both real and fictional. Find out what you can learn from the “bad guys”… 8 keys to practicing mindfulness. You can take every college course and read every book on; management, business, leadership, motivation, etc. but it is all just theory. The only way that you will know what works and does not …is to have your own projects and businesses. Your Management Success relies on your business acumen. …is More Than just a Success Book for Managers, it is a career guide on goal setting and how to be successful. In this book I will show you how you can create documented success outside of your current job. Are you relevant? Do you have a number of proven successes under belt? Change your life and make your own success. Your ultimate feat in life… is how well you manage yourself and your career.